This is the 49" Geralt The Witcher Silver Sword Monster Slayer Steel Replica w/Scabbard for use in the business of defeating unnatural monsters that have no fear of steel but recoil from the glare of a fine silver sword. This is a very faithfully designed reproduction suitable for costume wear or for hanging on the wall of your castle. 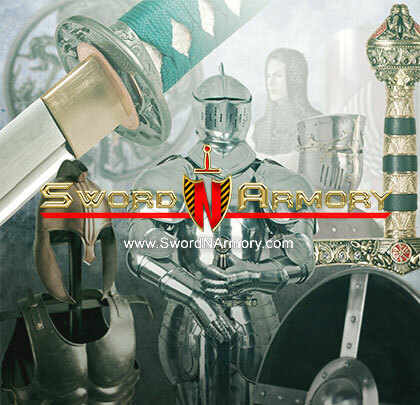 The stainless steel sword features three fullers running down the blade as well as the V-shaped guard and twin crisscrossed wolf heads on the pommel just like in the game! This knife is unsharpened for costume and decorative use.